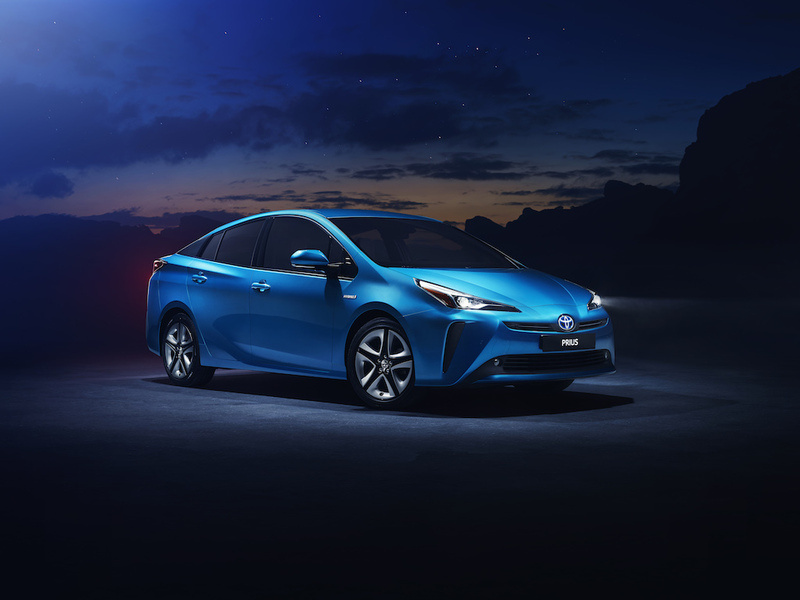 The 2019 Toyota Prius will feature a new, intelligent, electric all-wheel drive system as well as updated styling and extra tech when it launches in the UK and Europe next year. Unveiled at the Los Angeles Auto Show, the facelifted version will offer a Hybrid AWD-i variant that uses an extra electric motor that can send power to the rear wheels as required. The technology engages automatically when pulling away at speeds up to 10kph (7mph) and when sensors detect low-grip conditions, for example on wet roads, at speeds between 10 and 70kph (7-44mph). The carmaker said the AWD unit is compact and lightweight, with no centre differential or front-to-rear driveshaft, bringing minimal impact on boot space or economy. Power for the Hybrid AWD-i motor comes from a new, compact nickel-metal hydride hybrid battery that’s been designed for its cold weather performance, while the front-wheel drive Prius gets a new lithium-ion hybrid battery. Other changes for the facelifted Prius, which makes its European debut at the Brussels Motor Show on 18 January 2019, included revised styling and a more refined interior. It also gets new equipment, including a larger wireless charging tray, added head-up display functionality and a faster, more intuitive Toyota Touch 2 multimedia system.